What is Greater Lansing Area Clean Cities? 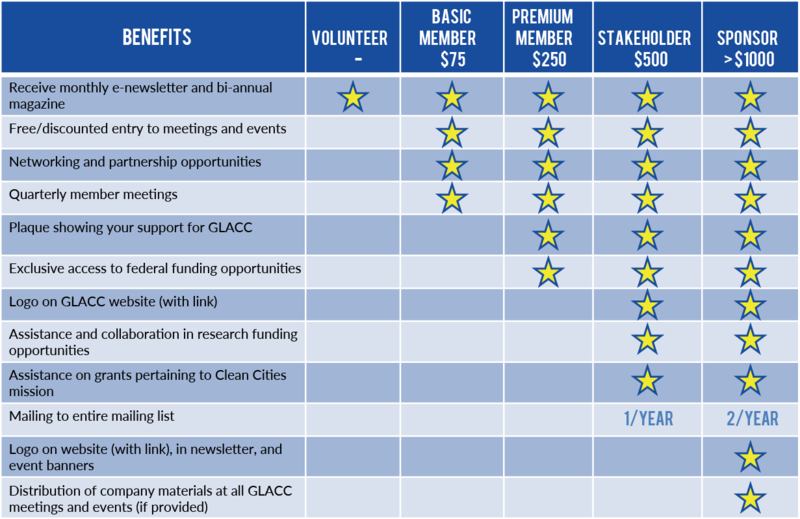 Greater Lansing Area Clean Cities (GLACC) is a non-profit coalition part of a network of nearly 90 Clean Cities coalitions in the U.S. through the U.S. Department of Energy Clean Cities Initiative. The coalition is made up of stakeholders with a mission to improve air quality and energy security in Michigan’s capital region (Clinton, Eaton and Ingham counties) by reducing dependence on oil in transportation fuels through alternative fuel and vehicle usage, and fuel economy practices. How do we reduce oil dependency? 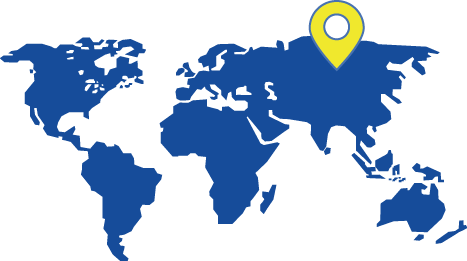 GLACC stakeholders include fleets, corporations, nonprofit organizations, utilities, local governments, and individuals. We encourage anyone interested in ways cleaner fuels, vehicles, and practices can improve our air quality and energy security to support us. Whether you’re a college or university, business, nonprofit, etc. – becoming a member or sponsor of GLACC will benefit your organization. Midwest EVOLVE: Along with 7 other Clean Cities coalitions GLACC is hosting local showcases to promote and demonstrate plug-in electric vehicle (PEV) use that provide a hands-on consumer experience and in-depth education in brand-neutral settings. 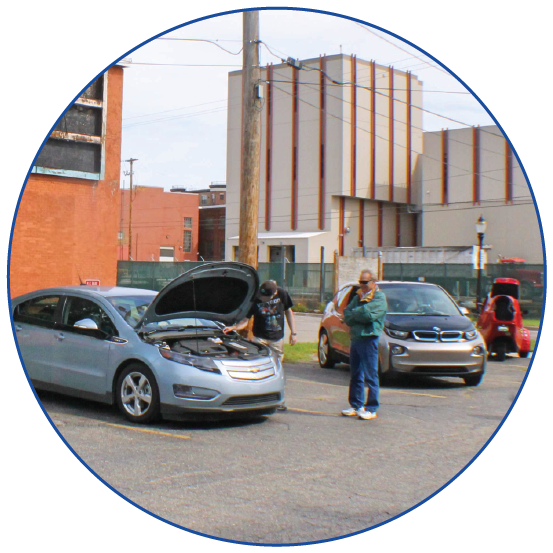 This project combines vehicle ride and drive events with a driver/fleet education experience in a seven state region to grow an understanding of the benefits that PEVs and advanced technologies offer, resulting in reduced dependence on petroleum and greenhouse gas emissions as the market grows. Clean Transportation Events: Meetings to provide information and resources to fleet managers, fueling station owners, government officials, and members of the public on clean transportation topics. Michigan to Montana (M2M) Alternative Fuels Corridor: Greater Lansing Area Clean Cities (GLACC) is working with several other coalitions to develop an Alternative Fuels Coordinator along I-94. The M2M project covers a 1500-mile span of I-94 – from Port Huron, Michigan, to Billings, Montana – to develop and enhance infrastructure and fueling sites to accommodate alternative fuel vehicles, such as electric and compressed natural gas vehicles. In December 2016, the U.S. Department of Energy awarded Gas Technologies Institute (GTI) a $4.9 million grant to kick-start the project. Over the next several years, GLACC and M2M partners will create a plan that identifies gaps in alternative fuels infrastructure and promotes outreach throughout the corridor.